All loft beds meet safety standards and are versatile. All lofts can be converted to regular twin bed with ease. 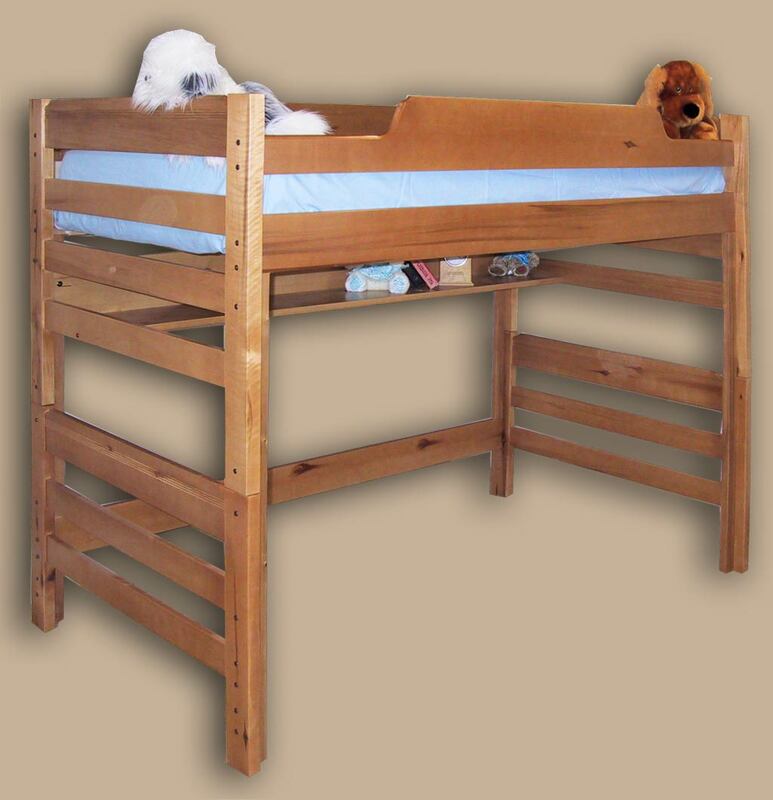 Also see our selection of Full Loft Beds below. Length: 78" Extra long 83"
- Will support adult weight. Ideal for college dorms, or as a space saver. - The RU1450 full length book shelf can be added at anytime. - Built -in climb up side. - Will support adult weight and offers a 48" underneath clearance. 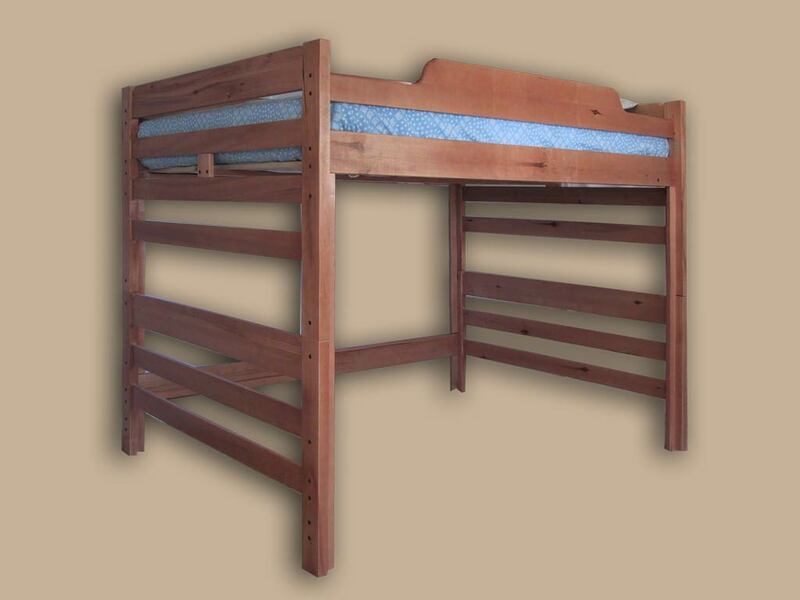 You can create an "L" shaped configuration by placing the RU1500 Twin Loft Bed under any free standing loft bed. All lofts can be converted to regular full bed with ease. 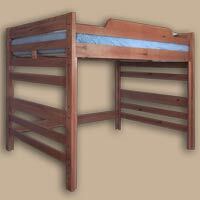 Also see our selection of Twin Loft Beds above. - Ideal for use in recreational rooms, properties, school dorms and home. - You can create an "L" shaped configuration by placing the RU1500 Twin Bed or RU1550 Full Bed under any free standing loft bed. - 8-1x4 board webbed mattress slats. - Options can be added. - You can create an "L" shaped configuration by placing the RU1500 Twin Loft Bed or RU1550 Full Loft Bed under any free standing loft bed. We stand behind every bed we make.